Over two months in 2016 EverEdge were asked to produce 800m of custom made steel edging to edge the paths at the newly refurbished Henry Moore Foundation. The client wanted an edge to blend in with both the natural and man made surroundings so a natural weathering steel was chosen. 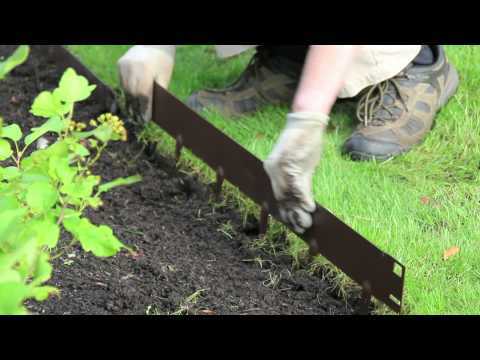 At 5.0mm thick, although the steel will be allowed to rust, the edging is designed to be incredibly robust. The rusty look will blend in perfectly with the Cor-Ten cladded buildings. The edging supplied was to create an edge between a resin bonded path and the lawns. The edge has to be robust yet manufactured from a thin enough gauge to be flexible. Steel is the ideal product in such a project. It is extremely tough and durable which means a thinner material can be used compared to other materials. The edging has now been in for over two years and, although the grass is looking a little parched from the current heatwave, the edging is holding up and will continue to do so for decades to come.